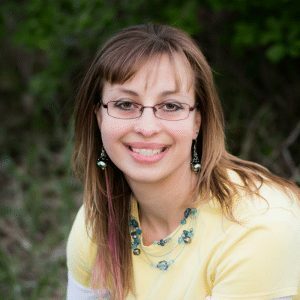 Breakfast is one of the most important meals of the day, but if you’ve been down the breakfast aisle of the grocery store, you will find that your choices for a low point Weight Watchers Freestyle breakfast are limited. 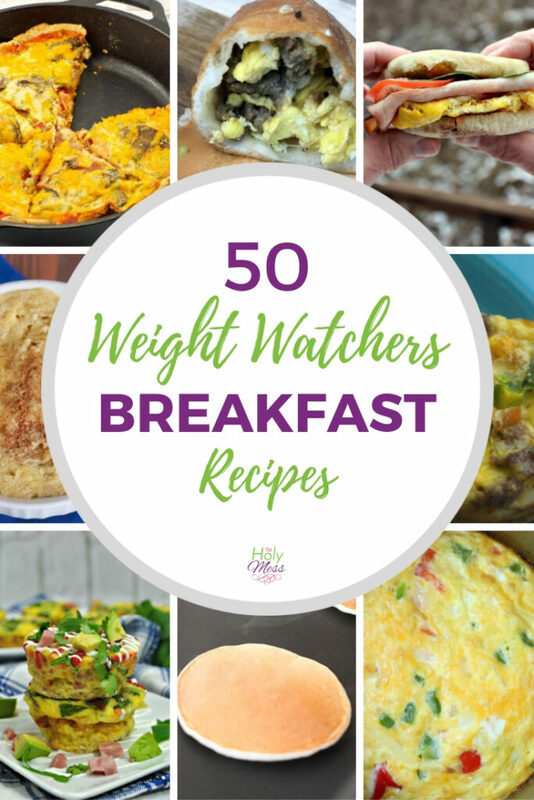 But don’t lose heart – you are sure to love these 50+ Weight Watchers breakfast recipes and ideas. Which Weight Watchers breakfast is best? When it comes to a WW breakfast that is low in points, one of the first things you will notice is that you need to steer away from most pre-packaged, carb-heavy options. Since 2017 and now into 2019, Weight Watchers (or WW – Wellness Wins) is focusing on real, unprocessed foods that are low in sugar and empty carbs and high in protein. This is wise decision on the part of WW, because so many pancake mixes and breakfast bars promise to “fuel your day,” but because of the high carbs and low protein, you soon crash. While we do include some treat foods on our list below, we mark them as such and suggest you pair them with a healthier option, as well. 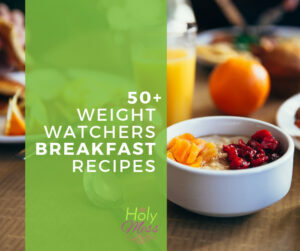 We’ve divided our list of WW breakfast list into Weight Watchers breakfast recipes, both sweet and savory, and WW breakfast ideas, which don’t even need a recipe and are quick to throw together in a hurry. If you need a quick Weight Watchers breakfast on the go, these are helpful options if you need to eat in the car, at work, at your desk, or at home but in a hurry. We focus on breakfast options that are low in points beause – really, who wants to spend the bulk of their points for the day on breakfast? I know I sure don’t! I want to be save my points to be sure I have enough to get me through the whole day. If I do splurge on a special breakfast treat, my strategy is to plan the rest of the day’s points in advance so I know I won’t go hungry. With the 200 Weight Watchers zero point foods, this is absolutely possible. Check out these yummy, healthy breakfast ideas that are low in points and high in satisfaction. Fluffy Pancakes 1 point – These pancakes are a variation of 2 ingredient dough and do not have bananas. Strawberry Fro-Yo Bark – 0 points, this is Greek yogurt and fruit. This needs to be made ahead. Try different fruit varieties! One Point Pancakes 1 point – Banana, yogurt, flour, and milk come together for a recipe that is one point per pancake. Nutella Wontons – 2 points. This is a real treat! Keep in mind though the portions are smalls so plan to eat this with some protein, and have a plan for how to not eat the rest of the jar of Nutella (a weakness of mine). Homemade Fruit & Nut Bars – 3 points. These look like an amazing homemade granola bar. My one word of caution is that the serving size is small, so plan to eat something with it, and if you are like me, freeze the extra so you aren’t tempted to eat them all at once. Apple Muffins – 3 points. These muffins start with a sugar-free cake mix so they are easy. Zero Point Banana Souffle 0 points – This is so good! With just 2 ingrients and all real food, this is a great breakfast (make it in a mug for on the go) or snack. Raspberry Peach Baked Oatmeal Singles 3 points. Similar to a muffin, this is fruity oatmeal baked in a muffin tin. Breakfast Smoothie Bowl 2 points (proceed with caution!) I included this smoothie bowl because it’s absolutely gorgeous and I’m sure tasty, but unfortunately I don’t think the points are accurate because according to WW, blended fruit has points. 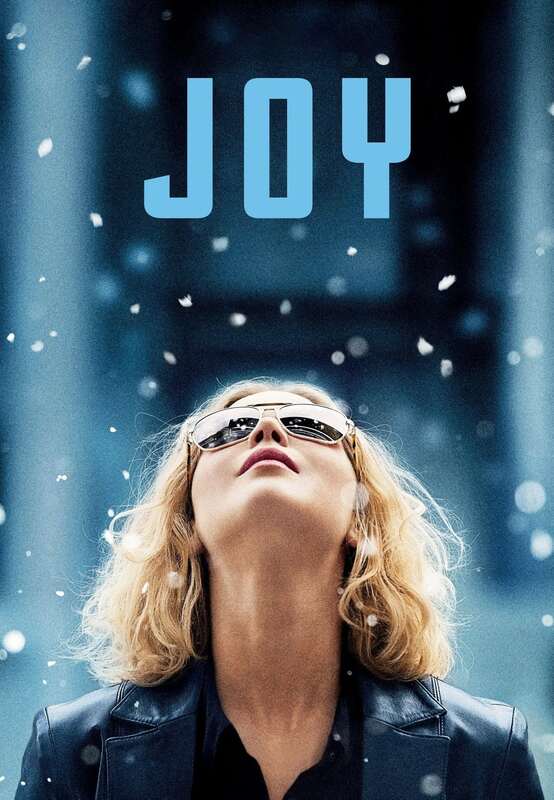 If you have this, stick to it as a once-in-awhile treat. Apple Pie Bubble Up Casserole – 5 points. Made with refrigerator biscuits, this is such a treat and is a generous serving size. This is a great Weight Watchers breakfast recipe to serve a crowd. Your guests will never know it’s light. Protein Packed Waffles – 3 points. These waffles are easy because you make the dough in the blender. Made with cottage cheese for protein, these are similar to a Biggest Loser pancake recipe that was popular for many years. Flax Seed Bagels 3 points – Two ingredient dough made into tasty bagels. Lemon Coconut Doughnuts – 3 points. These baked doughnuts work best made with a doughnut pan. Banana Bread – 4 points. This banana bread is made with Splenda Naturals and is 4 points per slice. Breakfast Sandwich 3 points. Light english muffin, ham, eggs and full of protein. Bacon & Egg Cheesy Grits – 4 points. If you like grits, check out this recipe. It includes ricotta for creaminess. Breakfast Pockets 6 points – Sausage and eggs stuffed into a 2 ingredient dough pocket. Instant Pot Egg Bake 3 points – Hash brown, egg, and cheese casserole made in your Instant Pot. Slow Cooker Hashbrown & Ham Casserole – 5 points. Packed with nutrition and flavor, this dish is so easy made in your crock pot and is a wonderful WW breakfast casserole option. Breakfast Pizza 1 point. Egg white breakfast pizza with a pita crust, pizza sauce and cheese. Quiche 1 point – A delicious crustless quiche for just 1 point per serving. Veggie Egg Scramble 1 point. Healthy eggs with lots of mix-in options. 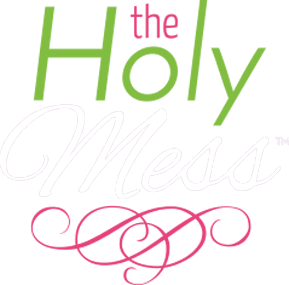 Air Fryer Bacon 6 points – Get your bacon super crispy in an Air Fryer. Instant Pot Egg Bites 1 point per egg bite. These Starbucks copy cat egg bites are super popular because they are so tasty and fun to eat. Veggie Breakfast Cups 1 point. Hash browns, eggs, and veggies baked in muffin tins. Baked Omelet 2 point. Make this delicious omelet baked in the oven, then slice for serving. Cheesy Biscuits 2 points – Delicious cheesy biscuits made with 2 ingredient dough. 2 Point Breakfast 2 points – Veggies, egg beater or eggs, and Jimmy Dean Turkey sausage scrambled together for a quick and filling 2 points. Breakfast Taquitos 2 points – These are fun! A tasty taquito breakfast-style for just 2 points. Crab Cakes Benedict – 3 points. These crab cakes take quite a few ingredients so plan on these for a weekend morning when you have extra time. Whether you can’t eat eggs or just get tired of them and are ready for a change of pace, we’ve had requests from a number of people for breakfast ideas – minus the eggs. What are some Weight Watchers breakfast ideas that do NOT include eggs? While of course it’s ideal to have a home-made breakfast, sometimes you need something quick for when you are on the run. These are some awesome breakfasts for when you are on the go or if you are preparing for one person. 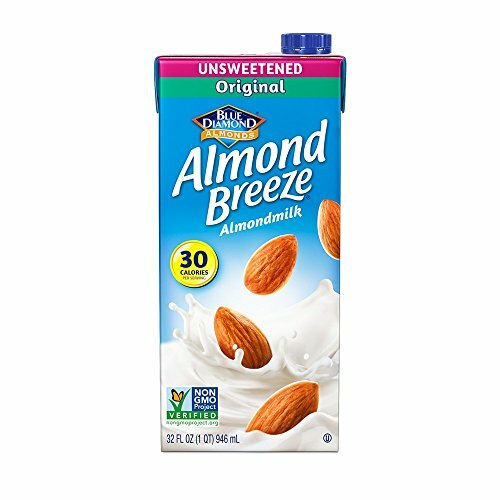 Almond Breeze, Unsweetened Vanilla or Original – 1 point. Great on cereal or in recipes. Fiber One – 1/2 cup of original Fiber One is 2 points, although I have to warn you it’s a bit like eating little cardboard sticks. I do like it sprinkled on top of yogurt (like granola) or in recipes. 1 cup of Fiber One Honey Clusters is 6 points and very tasty. Kashi Go Lean Original – 1 1/4 cup – 5 points. Better than Fiber One to eat plain, but still not fabulous. Good sprinkled on yogurt. I like the other Kashi GoLean varieties of cereal better, but they are higher in points. Special K Red Berries Cereal – 4 points for 1 cup. This is a tasty treat, but plan to eat some protein and fruit with it or you’ll be starving by mid-morning. Lean Pockets Breakfast Stuffed Sandwich – 8 points. Jimmy Dean Delights Breakfast Sandwiches and Bowls – 6-7 points. 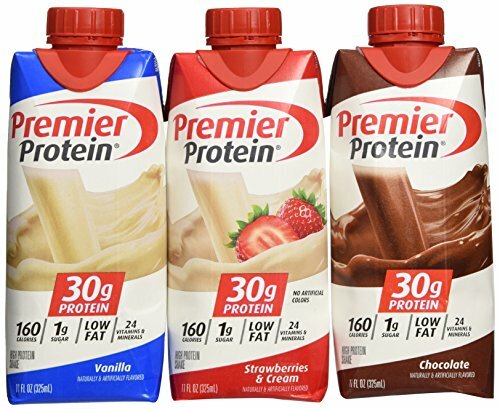 Premier Protein – 2 points. I’m a bit obsessed with this in my coffee. It’s great hot or cold, in caramel (my fav), chocolate, or vanilla. 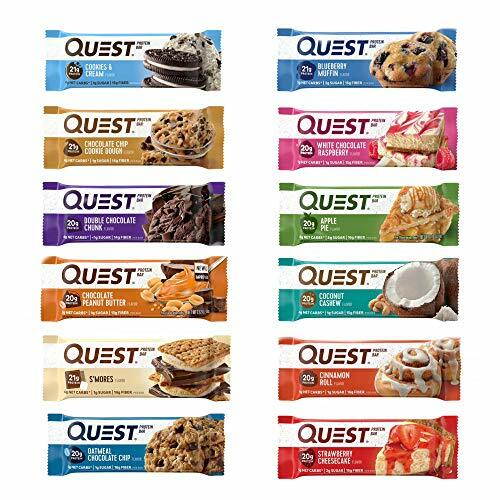 Quest Bars – 4-5 points. While not low in points, these are filling and tasty and one of the lower-point protein bars available. 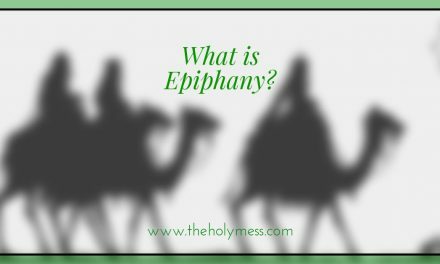 Think Thin bars – 5-6 points. Filling and not too sweet. Fiber One Protein Bar – 5 points. Taste good and with filling protein. Fiber One 90 Calorie Lemon Bar – 4 points. Not as filling but more like a typical bar. Weight Watchers Oatmeal – 3 points. These single serve oatmeal cups are handy to keep at your desk or at home for a quick snack. Weight Watchers Snack Bars – 2 points. These are only 2 points but they are small, so be sure to pair with something more filling. Sugar free pancake syrup – 1 point. Perfect addition to low point pancakes and waffles. Protein Powder – 1 point. With Freestyle protein powder is just one point per serving. Use it in smoothies, oatmeal, or recipes. 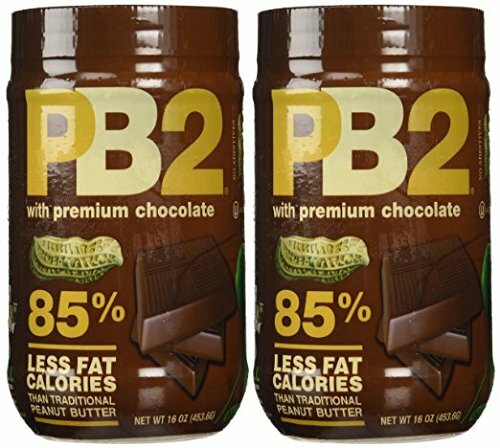 PB2 – This powdered peanut butter is a fraction of the calories of peanut butter. 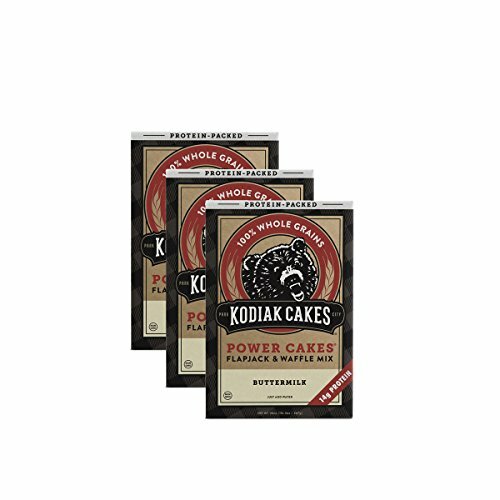 Kodiak Pancake Mix. 5 points. Use this high protein mix to make pancakes, waffles, muffins, and more. Beach Body Shakeology – 3-5 points per scoop. I personally have never tried Shakeology, but I’ve heard the shakes are tasty and quite filling. They fit into WW program. McDonald’s Egg White Delight McMuffin – 8 points. A healthy drive-through breakfast option with plenty of protein. McDonald’s Fruit &Yogurt Parfait – 6 points. A sweet option for a busy morning. McDonald’s Fruit & Maple Oatmeal – 12 points (10 without sugar) is a bit point-heavy but it is tasty and healthier than many options. Dunkin Donuts Caramel Latte Light – 4 points. Great for a once in awhile treat. Starbucks Skinny Latte Grande with Nonfat milk – 4 points. Starbucks Turkey Bacon and Egg White Sandwich – 5 points. Starbucks Egg White and Red Pepper Sous Vide Bites – 5 points, or check out this Instant Pot version to make at home (1 point per bite). Here are a number of Weight Watchers easy breakfast ideas that are fast to pull together in a hurry. Hard boiled eggs – 0 points. If you have an Instant Pot, it makes quick and easy hard boiled eggs that are easy to peel. Fruit – 0 points. The fact that fruit is zero points is a tremendous advantage when it comes to breakfast options. Strawberries, blackberries, blueberries, raspberries, cantaloupe, honeydew, mangos, and pineapple are just a few of the zero point fruit options available to you. Overnight Oats – Points vary depending on recipe. Include chia seeds since they are super filling, and try PB2 if you enjoy peanut butter. Instant Pot Cold Start Greek Yogurt – 6 points. If you have an IP, give this recipe a try. It’s super easy to make and one batch makes 12 servings. Smoked Salmon – 0 points, have it on a 2 ingredient bagel. Baby bell cheese, light – 1 point.These little cuties are great with crackers, eggs, or just take and eat. Laughing Cow cheese wedges – 1 point. Spread into celery, on crackers, or cook with eggs to make them extra creamy. Oatmeal – 4 points for 1/2 cup uncooked. Chobani Greek yogurt – 4 points. No artificial sweetener. Coffee with Premier Protein – 2 points. This is so good! Caramel premier protein is my favorite. Flat Out or Carbmaster Tortilla with eggs and salsa – 2 points. Light English muffin with 1 oz reduced fat shredded cheddar – 5 points. Smoothies – points vary. Keep in mind fruit that is blended has points, so plan accordingly and perhaps make smoothies a once in awhile treat. 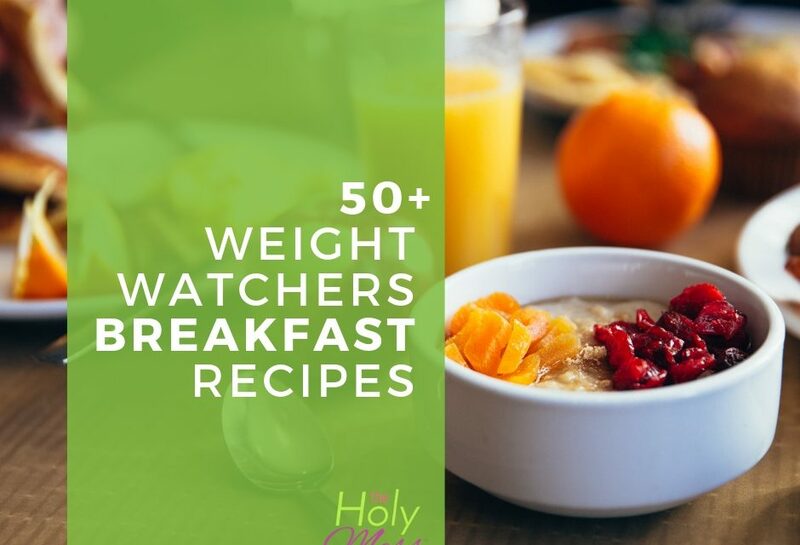 With all of these amazing Weight Watcher breakfast recipes and ideas, you are sure to find something you love and never get bored. Because these ideas are low in Freestyle points, you’ll still have plenty of points left for the rest of the day, while keeping fueled and feeling great. What’s your favorite WW breakfast? Share in the comments.